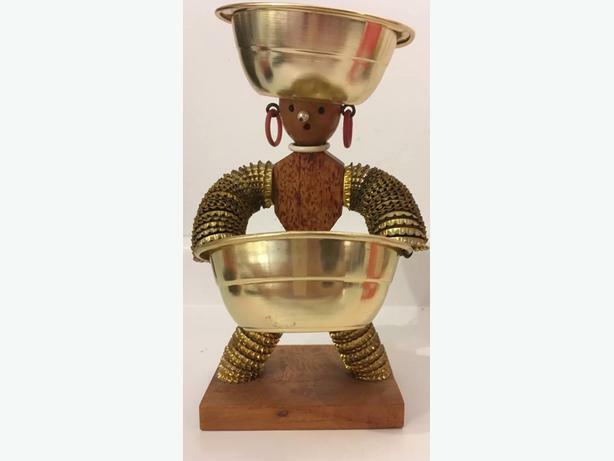 Very unique folk art creation styled as Carribean peanut vendor, made in Aruba in the 1950's! Made entirely out of gold finish metal, bottle caps and wood. Solid construction and in excellent condition with just a couple of slight dents on top bowl. Measures approximately 10.5" h and 5.5" w at wooden base. A wonderful and fun novelty piece! !